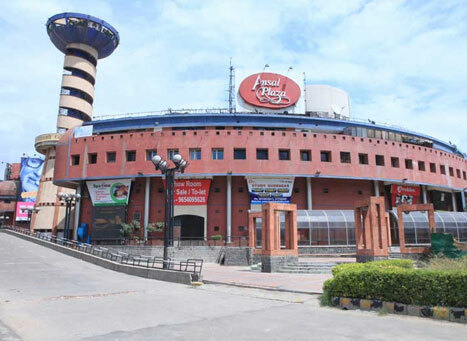 One of the oldest Mall in South Delhi, Ansal Plaza is one of the most popular shopping spots in Delhi. Built over an area of 35 acres, Ansal Plaza is one of the biggest Mall in Delhi. The mall is built in a circular design with an amphitheatre and centre stage. Ansal Plaza lights up into a cultural hotspot during weekends, with shoppers enjoying the best of both worlds - shopping and enjoying the natural ambience of the amphitheatre and centre stage. Situated close to South Extension Market, Ansal Plaza is part of the South Delhi shopping epicentre. The shops inside the mall feature some of the most popular brands. Decathlon store on the ground floor is one of the major attraction. With its extensive range of sports products, people flock to Decathlon to check out their latest arrivals. There also various popular shopping outlets like Lacoste and Shoppers Stop. Shoppers Stop is one destination for all shopping. Be it jeans, shirt, sportswear or formal clothing, Shoppers Stop provides you with the best of quality. The perfume and watch section of Shoppers Stop can’t be missed by any shoppers, with all the famous brands of perfumes on display. Apart from Clothing outlets, there are numerous electronic outlets like Apple and Samsung. So, if you are planning to buy a new Phone, Ansals Plaza would be a perfect shopping destination for you. Ansals Plaza is not just about shopping in the mall, there are some of the most famous cafes and restaurants inside the mall. Ansal Plaza has been a famous hotspot for South Delhi youths, with mall providing numerous options of cafes and restaurants to choose from. Ansal Plaza isn’t just a market, it’s a complete package. The blend of modern building and shops and natural spots, Ansal Plaza provides the best of both the experiences. If you are lucky, you might come across live music being performed on the centre stage. It’s the collective experience of the place which makes it the best shopping destination in Delhi. The nearest metro station is Hauz Khas metro station on the Yellow line. It’s 4 km from the Ansal Plaza. The natural ambience of Ansal Plaza makes it a perfect weekend hangout spot in Delhi. Decathlon store on the ground floor is something you must explore. Shoppers stop is also a major attraction in the mall. It’s open throughout the week from 10 am to 10 pm.